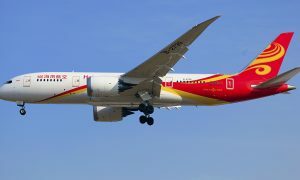 Hainan Airlines will launch a new year-round direct service from Shenzhen to Dublin later this month. The Chinese airline will operate two flights per week between Dublin and Shenzhen, which is in south-eastern China. “We have worked closely with Hainan to establish this new route to Shenzhen, and over the coming weeks and months we and other stakeholders will be continuing to help them to promote this new service,” Mr Harrison said.